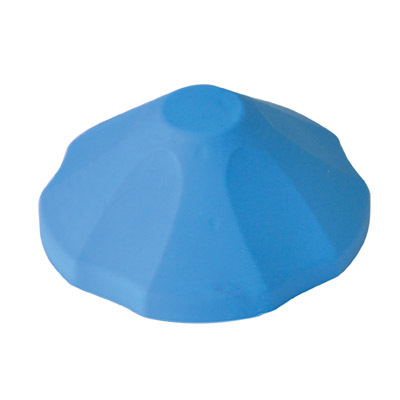 Product code: VM992AA Categories: Home Living, Kitchen Aids. 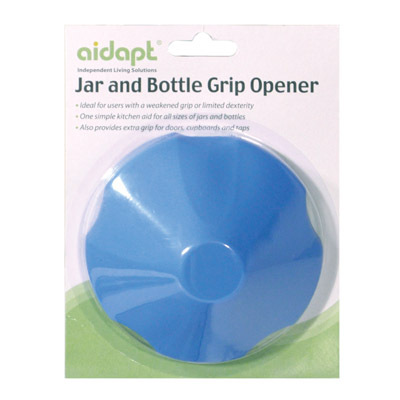 The Jar and Bottle Grip Opener is an ideal kitchen aid for users with a weakened grip or decreased sensation in their hands, enabling you to easily open stubborn jars, bottle or pots. 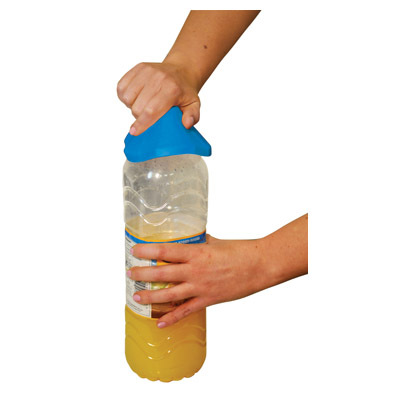 It can also be used to open doors or turn taps around the home and has been specially designed with a soft, flexible feel to fit many sizes and types of food and drink container. The Jar and Bottle Grip Opener has a domed shape, which fits comfortably into the palm of the hand. This useful Kitchen Aid enables the user to easily open aluminium can ring pulls and pressure sealed bottle caps. The Plastic Multi Opener is ideally suited for users with limited dexterity, it is also a great kitchen tool for general use to prevent broken fingernails. The 2 in 1 jar and bottle opener with ergonomically-designed handle enables you to turn and to open any caps easily and is dishwasher safe. The Utensil Strap is an ideal dining aid for people with limited grip. The Utensil Strap slips through the loop on the handle of the bendable spoon, bendable fork and rocker knife dining aids.